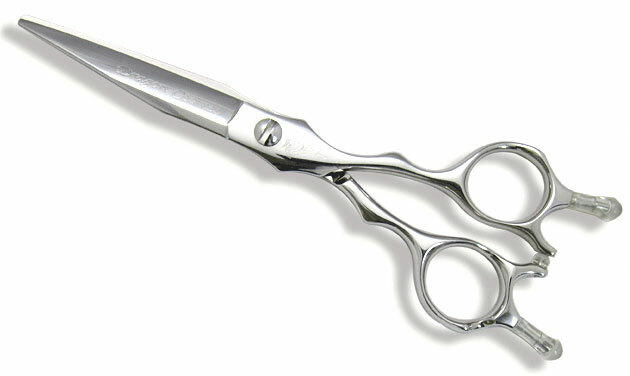 Professional hair stylists demand professional hairdressing scissors. Our hairdressing scissors are authentic and you will always get the best price. Professional hair stylists demand professional hairdressing scissors. This is why we carry the best hairdressing scissors at the best prices, never imitations or lower quality hair scissors. Shop all the best Japanese hair cutting scissors in one spot! Shop by brand or by our popular categories, such as the thinning shears category, where you will find all thinning shears from the the top brands. We offer a broad variety of professional hairdressing scissors, from the extremely high quality Hikari Shears to the economically priced Etaro Shears by Hikari. Interested in the Washi Shears line? View our full collection of Washi Matching Set Shears for additional savings and learn about our lowest price guarantee on Washi Shears, an exceptional hairdressing scissor for your investment. Professional hairdressers the world over trust the hairdressing scissor brands we carry. If you have any questions while hairdressing scissor shopping, contact us and we will gladly be of assistance.